Are you quick with a 6 shooter? ]If you have successfully completed your three basic range school safety sessions, you may like to have a shot at Western Action Matches, using modern versions of the types of firearms which helped tame the wild west. Coaching for this discipline is provided on the third Saturday of each month, starting at 9am, but be sure to mosey on in around 8.15am to secure a spot. You will have more fun than a kid with a cap gun, trying your hand at everything from the .357 single action revolver, to the .357 lever action rifle and 12 gauge shotgun. 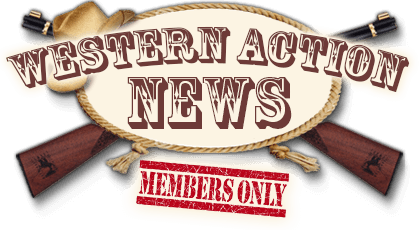 We also offer a new member Western Action Match on the second and fourth Sundays of the month, so sign up to join the posse at 9.30am for a 10am start. Cost is $20 to cover the price of your ammunition.